Donate - Andrew James Cherpak III Memorial Foundation, Inc.
We joined with Scrubz Body Scrub, Inc. and created a signature scent, Cool Classic, to define our foundation. Through the company's generosity, 50% of sales is donated directly to our cause! Cool Classic is a clean, refreshing scent, infused with notes of cotton blossom and citrus. It is gender-neutral and will leave you smelling "oh, so refreshed!" 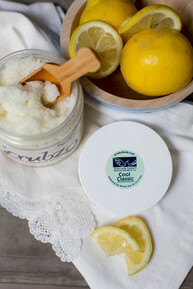 Scrubz's bases contain no alcohol, no artificial preservatives, no artificial color, no gluten, no parabens, no petro-chemicals, nor phthalates. They scent with only the highest grade Essential and/or Fragrance or Flavor Oils. Perfect Head-to-toe! Four body products in one: exfoliant and cleanser for face and body, pre-shave prep, shaving oil, and protective moisturizer. Created for sensitive and dry skin, but great for any skin type! This 60/40 mix of pure whipped Shea Butter and 8 Botanical Oil blend creates a fast absorbing, creamy lotion and body butter all in one! Chilled, it's a body butter, so use the pump like a wand. Room temperature, or slightly warmed, it's more of a lotion, so pump away. Either way, it's benefits are PLUSES! Scrubz mixes their unique blend of 8 natural Botanical Oils, each with its own special benefit, giving you a silky, smooth body oil that works as great as it smells! Enjoy Oilz as a moisturizer, fragrance oil, bath oil, or massage oil! 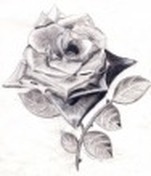 Each set (8) of rose note cards comes beautifully wrapped for your personal use or to give as gifts/party favors. *In addition to our elegant black and white signature wrapping, we offer specialized wrappings for all holidays throughout the year. Our note cards can also be custom designed to meet your specific needs. Please provide us with your name and mailing address in the "special instructions to merchant" field upon PayPal checkout! If you are ordering a holiday wrapping, please specify for which holiday you are ordering. LabelsPersonalized address or gift tag labels to match our note cards. To order, please E-mail us your order information, including what you wish to be printed on the label and the quantity desired. Place a donation in memory of a friend or loved one. Please provide the name of the gift recipient as well as your personalized message in the "special instructions to merchant" field upon PayPal checkout. Make a donation to honor friends, family, and loved ones with a gift in their name. This is a meaningful way to celebrate births, birthdays, anniversaries, weddings, graduations, holidays, and all special occassions. Please provide the name of the gift recipient as well as your personalized message in the "special instructions to merchant" field upon PayPal checkout. Corporate matching gifts are an easy way for people to multiply the impact of their personal contributions to the Andrew James Cherpak III Memorial Foundation, Inc. A company's matching-gift program might enable a donor to generate an additional gift that potentially will double or triple his/her own contribution. * Check with your company's human resources department to find out about its matching-gift policy. * Many employers will provide you with a form to complete and send to us with your basic donation. contribution to the Andrew James Cherpak III Memorial Foundation, Inc.
Andrew James Cherpak Memorial Foundation, Inc.
*You may also submit your donation via the PayPal Donate link above and e-mail or mail us your company's form. Please be sure to indicate that the donation is part of a corporate matching program in the "special instructions to merchant" upon PayPal checkout. Visit our web site and join our mailing list to stay updated on various events being held throughout the year.